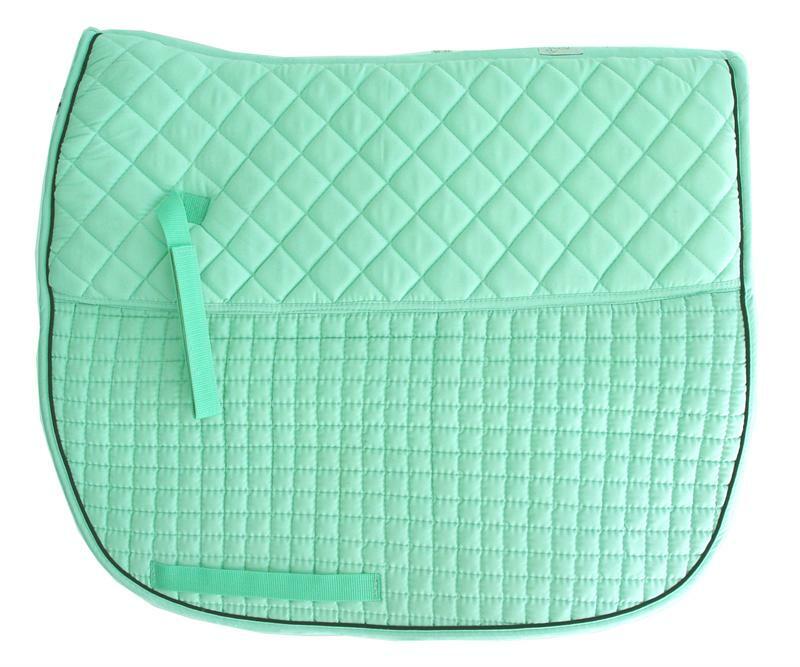 Select ... Traverse (+ $12.95) Pirouette (+ $12.95) Piaffe (+ $12.95) Extended Trot (+ $12.95) Shoulder-In (+ $12.95) Halfpass (+ $12.95) Medium Trot (+ $12.95) Passage (+ $12.95) No Thanks! Or You can send us a custom Logo, Image and specifications via email at: HorsesRiders@att.net. Please go ahead to check out, so we know what color pad you want. We'll get back to you via an email. 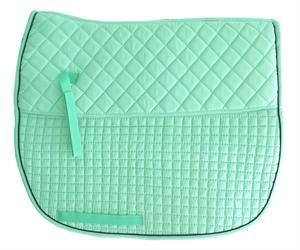 Option 3: Or to add a Dressage rhinestone image to your selected pad. It will look unique and gorgeous. Select ... Traverse: Stone color: Black-Clear (+ $16.95) Traverse: Stone Color: Black-White (+ $18.95) Traverse: Stone Color: Copper-Bronze (+ $20.95) Medium-Trot: Stone Color: Black-Clear (+ $14.95) Medium-Trot: Stone Color: Black-White (+ $16.95) Medium-Trot: Stone Color: Copper-Bronze (+ $18.95) No Thanks! To clean: cold water machine wash and air dry or line dry. 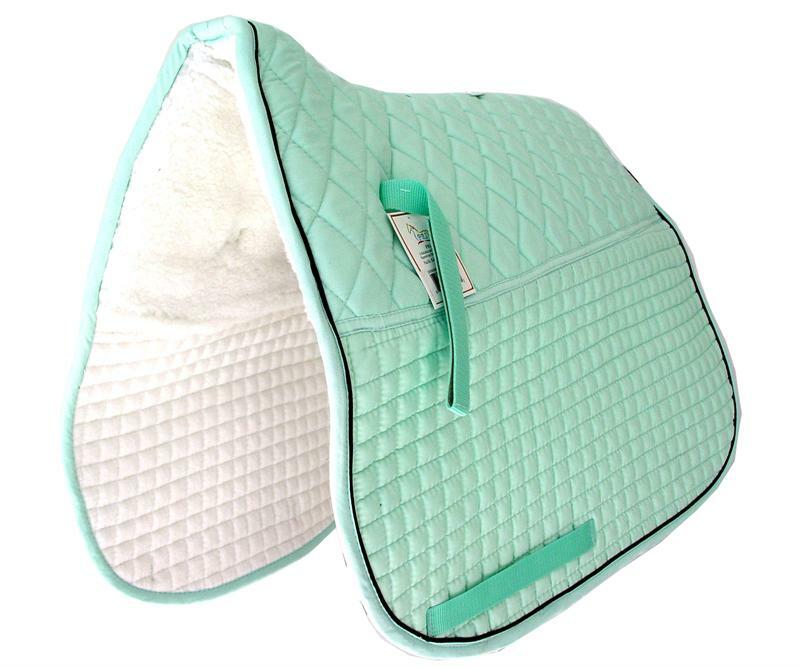 You can add a personalized Monogramming or Rhinestone image on the pad to promote your riding personality. Note 2: order 3 or more of the same pads to receive free shipping plus additional 10% discount. Note 3: Your credit card will not be charged during check out process. The shopping cart can not calculate free shipping and discount at the moment. Please do not worry, we will fix that manually. We will send an official bill to you, which will reflect the free shipping and additional discount if your order condition is qualified.